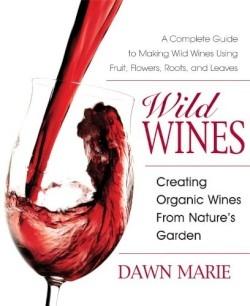 Wild Wines offers an alternative to commercial wines, and with the growing demand for local organic food sources, it should be a welcome addition to any do-it-yourself library. Divided into two parts, the first section begins with a condensed Wine 101 and explains types, serving etiquette, tasting, and ingredients. Readers will learn nonpoisonous plant identification and selection, along with storage and preservation techniques. A wine making supply list is also included. Specific techniques on plant essence extraction, proper bottling, aging, and troubleshooting complete this section. Part two, a cornucopia of recipes, is arranged by ingredient types (fruits, roots, flowers, leaves, and miscellaneous items). While apple, strawberry, and ginger wines are common, more unusual recipes include Japanese knotweed, Prune, Cattail, Madrone Bark, Arrowleaf Balsamroot, and wild flowers like violet, rose, and wisteria. Author Dawn Marie is a Chicago native and naturalist who currently resides in the Pacific Northwest, where she forages for wild plants to use in her food and beverage recipes. Illustrator Vicki Renoux has a background in natural foods and currently lives in Florida. This book contains A-Z details about wild organic wine making for the novice or experienced wine maker. Black and white diagrams of supplies and plant illustrations are sprinkled throughout the text. Pull-out quotes highlight tidbits of interest like, “What’s behind those pesky red-wine headaches?” and a blurb on biodynamic gardening, a method of farming that works with the rhythms of the Earth. Charts show how to read wine labels, wild plant growth seasons, yeast and sugar characteristics, and an organic winery evaluation chart. The back of the book contains a glossary, supplier resources, an organic vineyards list, and a suggested readings list. Wild Wines is a comprehensive work on making organic wines using alternative ingredients. Readers will find this resourceful “grape” alternative worthy of a toast.